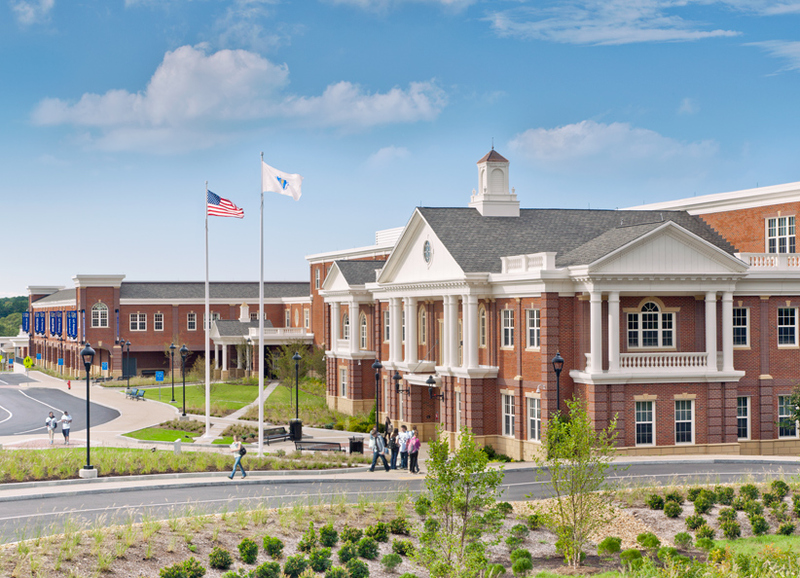 A classically designed new high school facility, the new Plymouth North High School draws inspiration from the federal design of the Nathaniel Morton School (former Plymouth High School) located on Lincoln Street and the Massachusetts State House designed by Charles Bullfinch in 1795. The new high school is designed to be the first LEED certified Platinum high school in New England, and one of only three such high schools in the country. It boasts an onsite wind turbine which produces enough electrical power to service the entire campus, 100kW photovoltaic array, gray water collection system, electrical car charging stations in the parking lot, and interactive sustainable design kiosks at the entry lobbies.